Depart Arusha to Lake Manyara. In the late hours of the noon participate in a game drive. Enjoy your Dinner and overnight at Manyara Serena Lodge. Lunch box and dinner. Breakfast at the lodge the proceed to Serengeti passing through Olduvai Gorge the site for Leakey’s family discoveries of fossils of human and animal ancestors dating back to about two million years. Meals and overnight at Serengeti Sopa Lodge or Mapito tented camp. 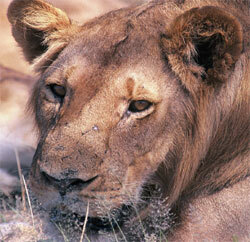 During the morning hours you will participate in game viewing drive. Following breakfast leave to part of the natural wonders of the world, Ngorongoro crater. Dinner and overnight at Ngorongoro Sopa Lodge. Meal Plan; Full board. Having finished breakfast, tour the Masai Village, afterwards leave for Arusha.